Wafa’ took you on a journey through the Arabian Night to rediscover the origins of Ali Baba, Aladdin, Sinbad the Sailor and many other heroes in an engaging multimedia event. Wafa’ used plenty of film clips, readings and an interactive quiz to entertain children, their parents and grandparents! Wafa presented her "Journey Through The Arabian Nights", a Power point presentation exploring the origins of these classic tales, how they came from the Middle- East to the West; reflecting on their place in the world’s cultural heritage, accompanied by a reading from the Arabic Cinderella Story. 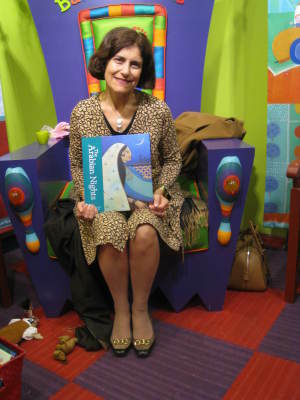 Wafa' was described as "a storyteller all heart and soul, with an imagination and a literary style that builds sturdy bridges between eastern and western traditions". 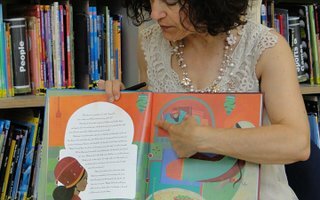 A summer programme of free family events held in several London libraries, Wafa' read stories from her Arabian Nights in English followed by a quiz for children based on the Nights. The winner of the quiz was presented with a signed copy of the book. 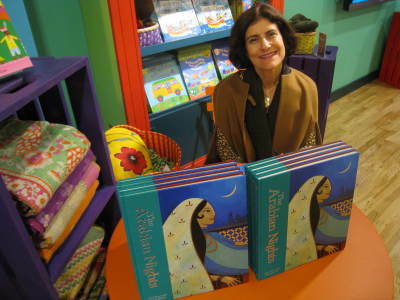 Wafa' retold several stories from The Arabian Nights in Arabic to women and children. There, she felt like a true descendent of her grandmother, a wonderful story teller who lived in the village of Joun in the Mountains of Lebanon. The village is now known as the last abode of Lady Hester Stanhope, one of the first British women to travel to the Middle East. At the Mosaic rooms, Wafa' held a special story telling session and quiz aimed at 8-14 year olds. Again the winner of the quiz was presented with a signed copy of the book. 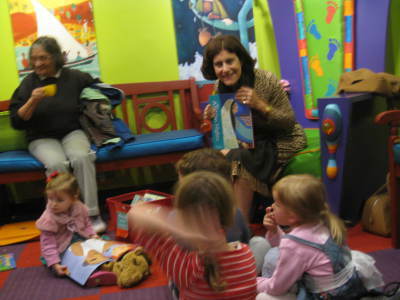 Also, Wafa' was one of the story tellers who was invited to the opening of the Barefoot Bookshop in Oxford. Wafa' Tarnowska reads aloud the introduction to "The Arabian Nights". Her expressive voice and beautiful words transports the listener to the Middle East and into a world of magic, genies and flying carpets. The full book will be available shortly as an MP3.